To evaluate the efficacy of the PA101C on reducing airborne dust particles against other competitive products on the market. The tests were conducted in a closed room 10.5 x 12 x 8 ft equipped with an exhaust system to clean the room between tests. The room also had a ceiling fan to evenly spread the contaminants injected into the room. The PA101C was installed in a duct system which supplied a measured amount of purified air into the room. 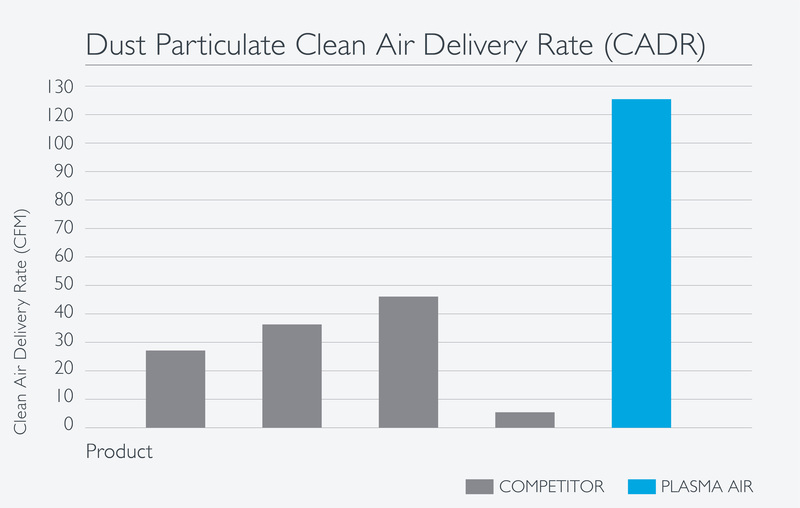 The PA101C had the highest Clean Air Delivery Rate (CADR) among the five devices that were tested of 125.0 CFM.